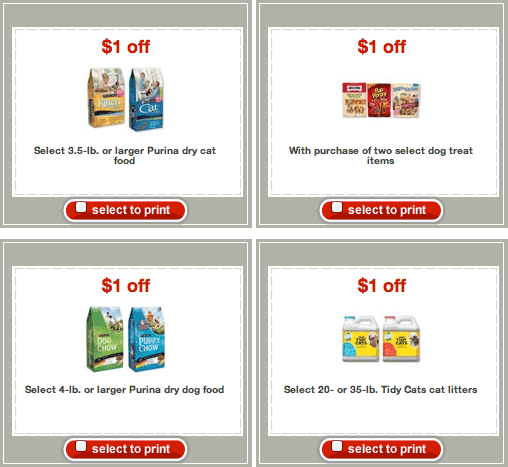 $1 off Select 3.5-lb Purina dry cat food. Click on coupons below to print! Diamond Pet Food Recall May 2012 Waggin’ Train Jerky Treats Poison Thousands of Dogs!